LAMP image is secure, up-to-date, and pre-configured to work out of the box. 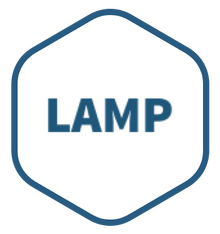 Short for Linux, Apache, MySQL, and PHP; LAMP is one of the most popular platforms for developing web applications. Also included are many libraries and frameworks that streamline development. Deploying and configuring an environment can be a difficult and time-consuming hurdle to clear before working on a new application. When installing and configuring multiple components and libraries, many of which can conflict with one another, it is easy to make mistakes. This is why a pre-configured LAMP environment is so helpful- everything just works out of the box. Beyond the core components of the stack, Bitnami's LAMP includes extras that make it more powerful out of the box. Popular PHP frameworks like Zend and Laravel are pre-installed, as well as a wide variety of add-ons for functionalities such as SSL, caching, firewall, and OAuth that are prerequisites for building modern web apps. Easily launch LAMP Stack in the cloud and get started writing code. Get full access to the filesystem with SSH access to extend or modify components to suit your needs, and add your existing code. Pre-installed and configured components include FastCGI, OpenSSL, phpMyAdmin, ModSecurity, SQLite, Varnish (TM), ImageMagick, xDebug, Xcache, OpenLDAP, ModSecurity, Memcache, OAuth, PEAR, PECL, APC, GD, cURL and more. Use any of the pre-installed PHP frameworks right out of the box, including Zend, Symfony, CodeIgniter, CakePHP, Smarty, and Laravel.